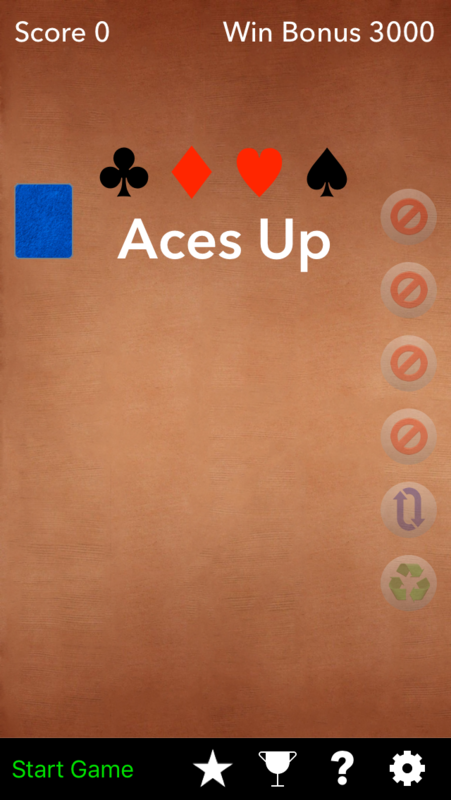 Aces Up is a solitaire style card game. 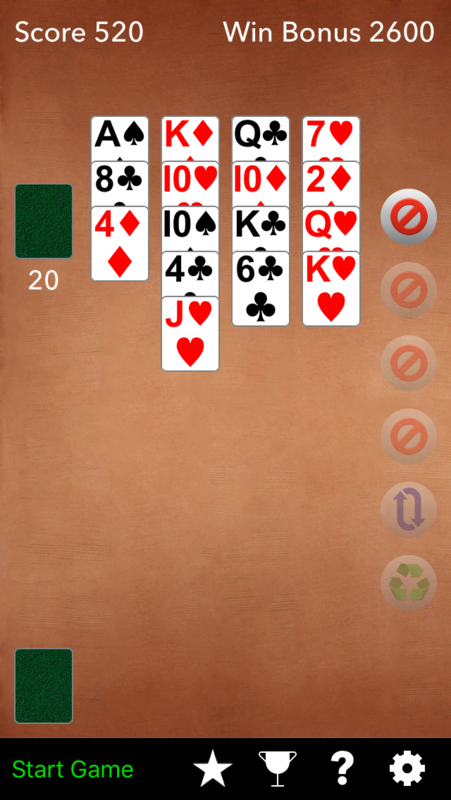 The object of the game is to remove all the cards except the four Aces. 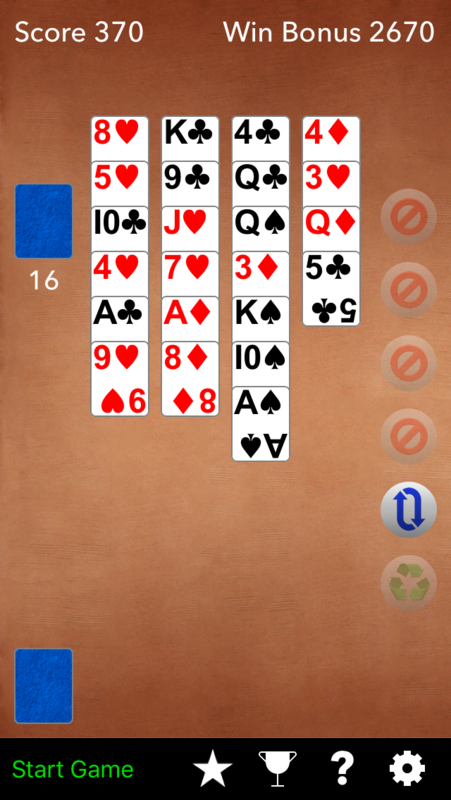 Four cards are dealt at a time into columns. A card on the bottom of a column can be removed if there is a higher card in the same suit at the bottom of another column. If a column is empty, any bottom card can be moved there. When an ace is moved to an empty column, you receive a bonus ability. A game ends when all the cards have been dealt and there are no moves remaining. An achievement systems keeps track of specific goals in the game. Remove any card from the bottom of a column except an ace. 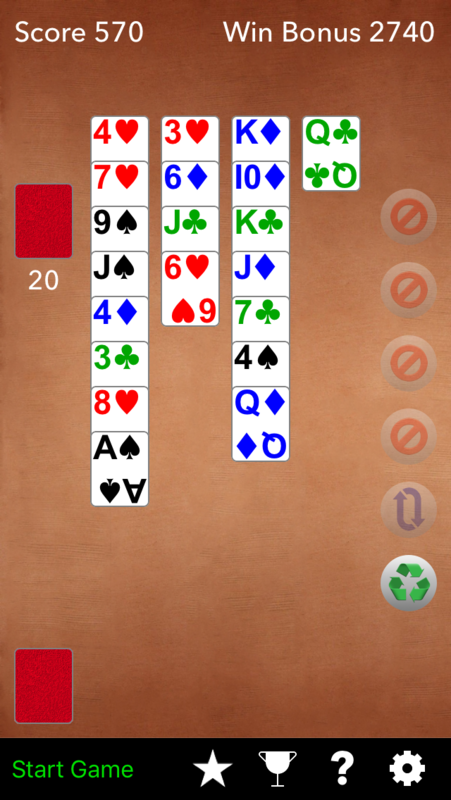 Swap positions of the bottom two cards in a column. Rearrange all the cards that have been dealt. Aces already in the top row will not move. Try shaking your device at the end of a game for a surprise.